Dub’ucation pt.12 was the last lesson! From 2019 the two local soundsystems Joyful Noise and Blackwood will join forces and play alternaly in the Mensabar Freiburg. T´ing called BASSLINE. Roots & Culture in a heavy soundsystem style. Support your local sound system! 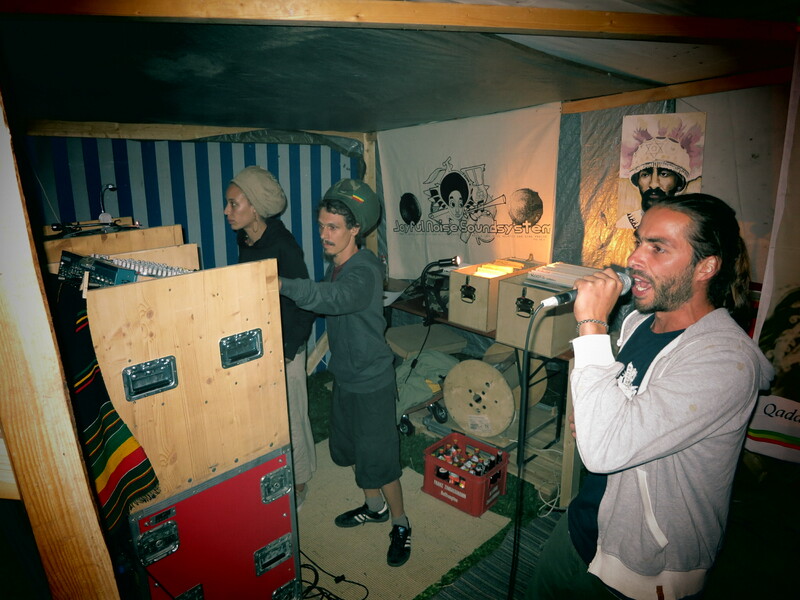 Joyful Noise Soundsystem stands for for Roots Reggae & Dub Music in and around Freiburg in the very southwest of Germany. It is based on the principles of Word, Sound & Power – which contain that the soundsystem is used as an instrument to bring relevant social and spiritual topics to the dancehall. Beyond the mass media – Reggae Music is the voice of the people. The basic influences are the Jamaican Soundsystem-Culture of the 1960-80s and the earthshaking vibrations of the UK-Roots-Soundsystems which sustained and developed this tradition. The Joyful Noise Sound is played in the traditional King-David-Style – with one turntable – accompanied by Live-MCs, singers, often live-instruments and a variety of Dub-FX & sirens. The musical selection is a journey through over 40 years of Roots Reggae & Dub up to modern day productions. The mainpart of the music is played from 7“, 10“ or 12“ vinyl – peppered with pre-released productions by fellow artists and labels or by self-produced music. Through the medium of music, the spoken or sung live deposits, the decoration of the premises and also the construction of info and market stalls the aim of each Joyful Noise appearance is to create an interactive atmosphere that relaxes people and keeps them motivated to engage for a more just society without racism and exploitation at the same time. Joyful Noise Soundsystem consists of Souljah Lioness, Lil Zé and Melodiemann – who run the sound – and the Joyful Noise Family a number of friends, family members and supporters who support the issue in many aspects. Mentally and physically. We are more than grateful for the relieable support that we receive.